The story starts with anger. Lots of it. In the fall of 1959 four young men met on the campus of North Carolina A&T. Joseph McNeil, Franklin McCain, Ezell Blair Jr., and David Richmond were all freshmen and they were all angry. Angry at how black people were treated in America. Angry at their parents and elders for what they saw as going along with it. Out of this anger a national movement of nonviolence emerged that would shape our nation both legally and socially. They were four ordinary men, known today at the A&T Four, lacking the culturally prescribed credentials to start a movement, who started a movement still in need of ordinary men and women. Simmering, but growing, that anger quickly convinced them it was time to do something. On February 1, 1960 the men went into F.W. Woolworths in downtown Greensboro, NC and bought several items from the store, to prove that the store was willing to serve them, and then took seats at the lunch counter. Because there were not four seats together they split up, two sitting at one end and two at the other end of the counter. They were told they could not be served. But they sat anyway. They sat while white patrons taunted them. They sat while a policeman stood behind them, pounding his nightstick into his palm. For about an hour and a half, they sat, as the other patrons all left and the servers told them they were causing problems. At 5:30 that day the store decided to close early and as the four men walked outside the iconic picture of them was taken. Alive. Unbeaten. Free. Empowered. Currents of empowerment and change were literally connecting across the country, although at this moment no one yet knew it. 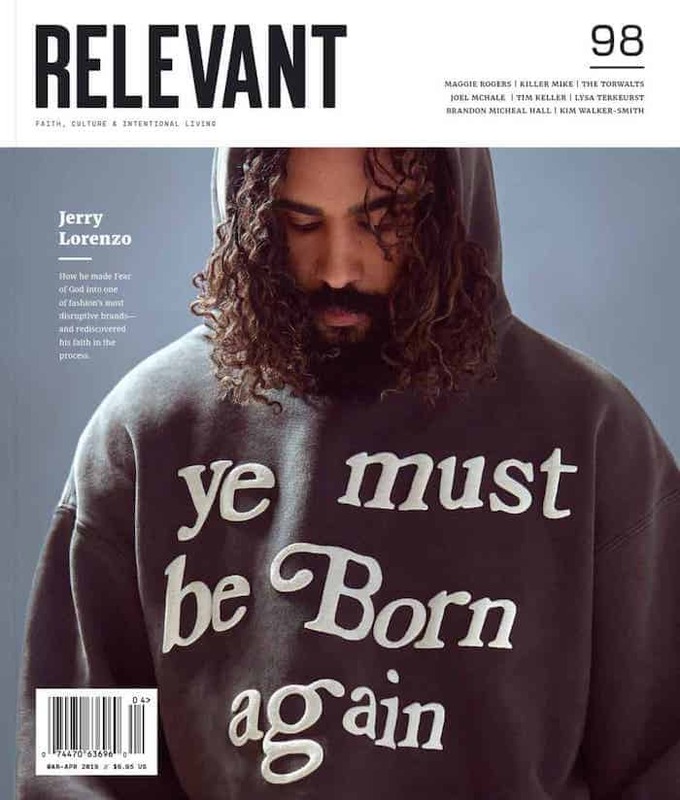 Inspired by Emmett Till’s mother and her demands to have her son displayed in an open casket and his picture on the cover of Jet Magazine, the Four had called the newspaper to let them know what they were going to do. That picture was not planned, but it wasn’t an accident. The four unqualified revolutionaries had no plans to stop there. Back on campus they told others their story and encouraged students to join them. The next day more students came with them, and the next day even more, and the next day even more. Before long sit-ins were happening across the South. Sixty different sit-ins took place over the next sixty days and in the six months following 75,000 students participated in sit-ins. The nation was changed by these four men, who despite not having the credentials to start a movement, had started a movement. As Fannie Lou Hamer expressed so well, many were sick and tired of being sick and tired, and so despite the very real risk, they took action. Prison was what McCain thought would be the best outcome for them, and based on what had happened to others, they knew that death was a realistic risk. The ugliness of white supremacy had to be challenged and they were willing to walk into that fiery furnace with hope, willing to pay whatever price was demanded. The Biblical story of Shadrach, Meshach, and Abednego that we find in Daniel 3 is both an inspiring parallel to the A&T Four and a cautionary tale for us today. In Daniel 3 we see the ego of the King as he sets up an image that others are commanded to worship it. The three Hebrew young men did not have any intention of bowing down to a rock and were not worried about insulting the King’s ego. This rebellious attitude infuriated the King. Throwing them into the fire was not just punishment, it was rage. Rage that the A&T Four knew all too well, having seen and experienced the rage of white society when the cultural norms were challenged. It was in the confrontation of this idol, and the belief system associated with it, that Jesus showed up. Despite what many people get from the Fiery Furnace story, Jesus didn’t just show up for those in the fire. He also showed up for the King. The fire was so hot it killed the guards standing outside of it, but not Shadrach, Meshach, and Abednego. In fact, the King saw another man in the fire with them. Many scholars believe this was the Son of God in the flesh, it was at the very least an angel of God, coming to save them. In the fire. They were not saved from the fire, they were saved IN the fire. 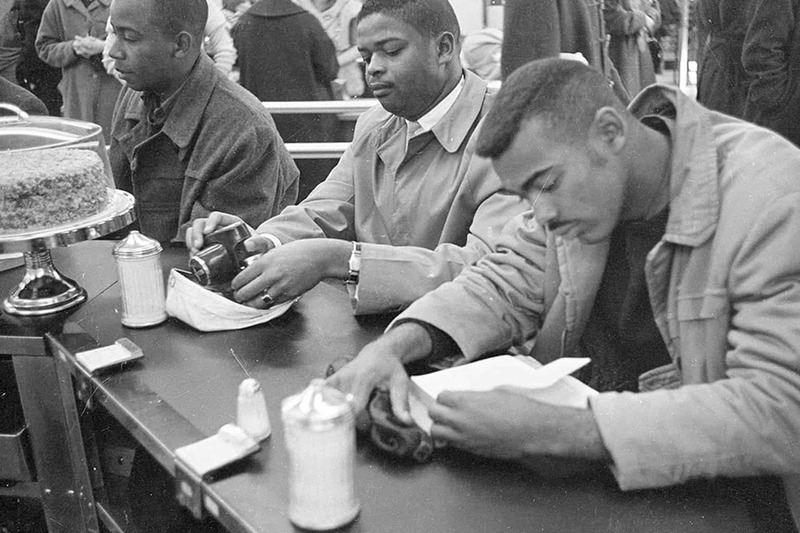 The four young men at NC A&T were not saved from the evils of segregation of Jim Crow and the underlying belief system rooted in white supremacy. No black people in the South were, and very few are exempt from it today. Those four men were saved IN their fight against the injustice they lived in. As Christ followers today, we would be well served to think more about what fight should we be saved in, that what discomfort we would like to be saved from. When the King saw another man in there, he knew that the God of the Hebrews had come to save them. He knew this because that is what they told him would happen. Seeing this happen changed the King. He ordered them out of the fire, proclaimed their God superior, and made a decree that no one could disparage their God. Despite his rage, the King changed his heart. Therein lies the cautionary part of this story for us today. There are many who today say that the actions of the A&T Four helped them to identify and eventually move away from the poisonous white supremacy beliefs that had been very normal to them. Many hearts were changed, and that is a good thing. Many were not, and that was, and is, the reality. To ignore the reality that the idol of white supremacy is not dead, is dangerous and in itself a real injustice. While the King’s heart changed, we don’t see any change in the Chaldeans, who brought the Hebrews lack of respect to the King’s attention. They didn’t care about the King, they wanted power, and the Hebrews were in the way. Laws here in America have been changed. People are more protected now than they were then. But the idol of white supremacy lives. The spirit of the Chaldeans still lives. Christ followers are still called to seek protection in the fight against injustice and not to live lives sheltered from that injustice. The world is broken and Joseph McNeil, Franklin McCain, Ezell Blair Jr., and David Richmond knew it. As did Jesus. Does it make us angry like it did them? Does our anger move us forward in hope? Not a hope that allows us to sleep at night, but a hope that drives us to action and sacrifice and impact. God needs more regular, angry people who will move forward in that kind of hope. Chris Jones is the Lead Servant of CITYChurch Winston, a small church in his hometown of Winston-Salem, NC. He is married to Jen and has three children ranging from 1 to 14 years old.